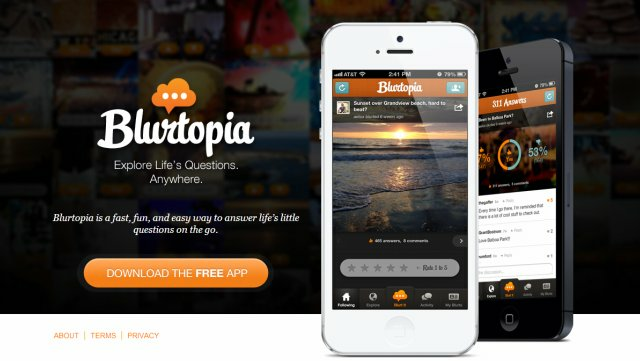 Blurtopia, an iPhone app, is a social Q&A community where you can get feedback on any question (called a Blurt) you ask. They can be asked publicly, to friends, or within topical groups. Check out the below videos to see Blurtopia's many uses in action and connect with them on Facebook and Twitter. Founded by Ryan Bettencourt, Keiran Flanigan, and Grant Bostrom.